Anne-Kathrin Elisabeth Dern is a German film composer, currently residing in Los Angeles, California.She is mostly known for her scores to "The Jade Pendant" (2017), "Lilly's Bewitched Christmas" (2017), and "Help I Shrunk My Parents" (2018), as well as her collaborations with Klaus Badelt, most notably on "Leap!" (2016) and "Wish" (2018). Dern was born in Eutin, Germany, and studied at a private film scoring academy called musicube. She moved to the Netherlands to further her studies at the acclaimed ArtEZ Conservatory. After receiving her Bachelor's degree in 2012, Dern moved to Los Angeles to attend the UCLA Film Scoring program where she concluded her studies. Cinesamples' sister company Hollywood Scoring hired Dern in 2014 as a mockup artist and staff composer. As part of the team she worked on productions like Riot Games' League of Legends, Microsoft's HALO V: Guardians, Disney's The Pirate Fairy, Fox's Gracepoint, and many more. A mockup she created for Alan Menken ultimately led to her being brought onto the Galavant composing team. Being located at Christopher Lennertz' Sonic Fuel Studios she transitioned into being an arranger for his score on the first season of ABC's medieval musical show in late 2014 / early 2015. At the same time she also worked as an orchestrator and technical assistant at William Ross' studio Momentum. Throughout most of 2015, Dern worked with Pinar Toprak on the Warner Bros. / Skydance production Geostorm, starring Gerard Butler. She also collaborated with composer Ryan Shore on his animated series Penn Zero: Part-time Hero and his Universal movie Monsterville: Cabinet of Souls. Later in 2015, Dern also worked as a temporary assistant at Steve Jablonsky's studio Arata Music, lending a hand on The Last Witch Hunter, starring Vin Diesel. In fall 2015, Dern resumed her work for Christopher Lennertz and Alan Menken on the second season of Galavant. In early 2016, Dern went back into a learning environment by accepting an internship position at Hans Zimmer's Remote Control Productions. Shortly after the internship, composer Klaus Badelt invited her onto his team for the animated movie Ballerina, starring Elle Fanning. It was later picked up by the Weinstein Company and released in U.S. territories the following year under the title Leap!. While working on several theme park rides with Badelt, Dern was also selected as one of the 12 composers out of over 300 applicants for the annual ASCAP Film Scoring Workshop by Richard Bellis. In early 2017, Dern collaborated with composer Emir Isilay on the Pakistani drama Saawan. Their score was nominated for Best Original Score at the Madrid International Film Festival and later won the Best Soundtrack Award at the Salento International Film Festival. This production was quickly followed by the Chinese-American drama The Jade Pendant based on the novel by L.P. Leung, and the German fantasy movie Lilly's Bewitched Christmas (aka Hexe Lilli rettet Weihnachten) based on the popular children's books by Knister. Both scores led to several positive nods by critics and garnered her a coveted IFMCA nomination for Breakthrough Film Composer Of The Year. 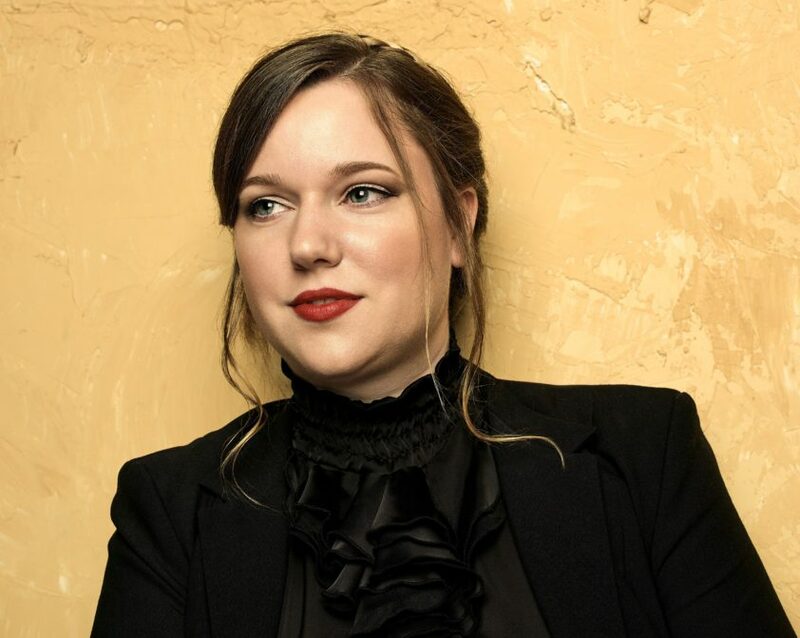 In spring 2017, Dern was chosen as one of the 10 female composers for the first installment of the now annual Future Is Female concert series, produced by composer and singer Tori Letzler. 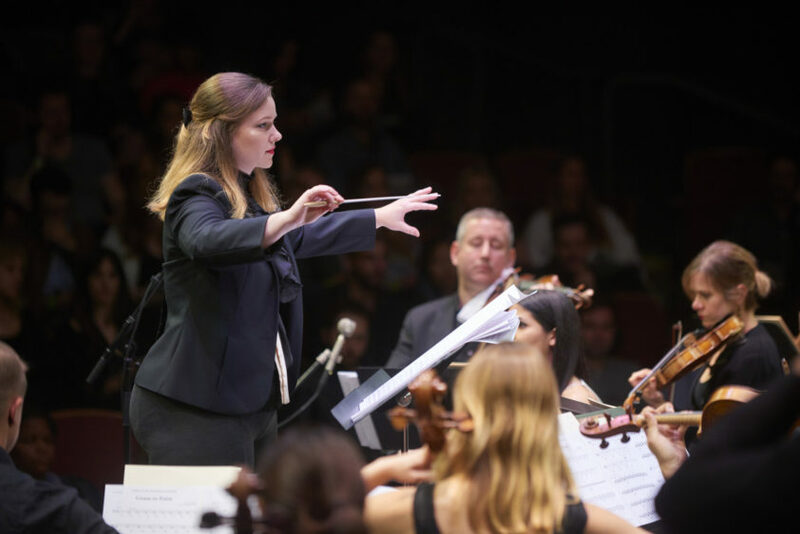 Dern conducted the Hollywood Chamber Orchestra led by concert master Mark Robertson throughout the second half of the concert and contributed her suite from The Jade Pendant. Several other feature film productions followed, including the indie drama Captain Black by Jeffrey Johnson, a German kid's comedy called Help I Shrunk My Parents (aka Hilfe, ich hab meine Eltern geschrumpft), and - resuming her work with Klaus Badelt - the Chinese drama Legend Of The Demon Cat by Chen Kaige. Dern also collaborated with British composer Daniel James on a Mongolian play and worked on iGot Games' Lords Mobile, once again with Badelt. In early 2018, Dern and Badelt co-composed the score for the animated movie Wish by Prana Studios, while Dern also contributed an orchestral arrangement of Chris Braide's title song Back To Earth for the animated movie Trouble. She also wrote the score to Enrico Natale and Elease Patrick's short film Broken and contributed additional arrangements to Warner Bros. female-led reboot Ocean's 8. Next to collaborating with other composers, Dern frequently works with several directors and producers, such as Blue Eyes Fiction, Julien Kerknawi, Galaxy Studios, Straw Weisman, Enrico Natale (More Productions), Robyn Klein, and many more. Her international catalogue ranges from the US to Canada, China, Mongolia, Japan, Belgium, the Netherlands, Italy, Pakistan, Germany, and France. Her scores are frequently recorded at AIR Lyndhurst and Abbey Road Studios in London by the LSO and LMO. As part of her initiative to promote the visibility of ethnic and gender minorities in film scoring, Dern was featured on the official AVID blog and was invited to a roundtable at Output. She was also featured on the cover of Cinema Musica magazine in June 2018. Dern is a member of the performing rights organizations ASCAP and GEMA.